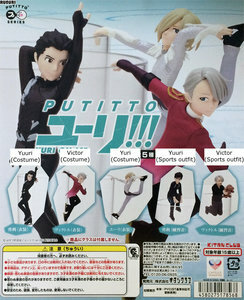 These cute petit figures of Yuri!!! on Ice from Japan are approximately 4.5-6.5 cm tall. Notice: The price is for 1 small figure. Notice: The color of these small figures on the picture can slightly differ with the real ones because of camera (lighting effects). The capsule is not included when the small figure is shipped in a cushioned enveloppe or a mail box.